Some knowledgeable Colorado Springs roofing company experts will tell you that clay tile roofing systems are quite popular. However, they seldom get the kind of exposure and attention that they deserve, when you truly stop and consider the many advantages they have over other roofing materials available on the market. Clay roofs are, first of all, extremely resilient. If you live in an area where the weather just goes haywire every once in a while, you simply have to entertain the option of getting a clay roofing system. It will withstand everything that mother nature can throw at it, and it is especially good against fire. Clay roofing is also extremely pleasing to behold. Among the most stylishly appealing roofing materials, clay is right up at the top with copper and slate. It’s versatile, and it offers an impressive array of different shapes, colors, textures and patterns you can use to fulfill your aesthetic requirements. 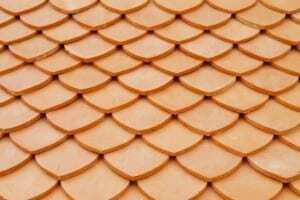 This roofing material is also a lot less expensive than many competing materials you might find on the market. Clay is cheaper than slate and concrete, and the fact that it requires less maintenance and fewer repairs than most roofing materials also adds to the returns you’ll obviously get once you have your new roof installed.